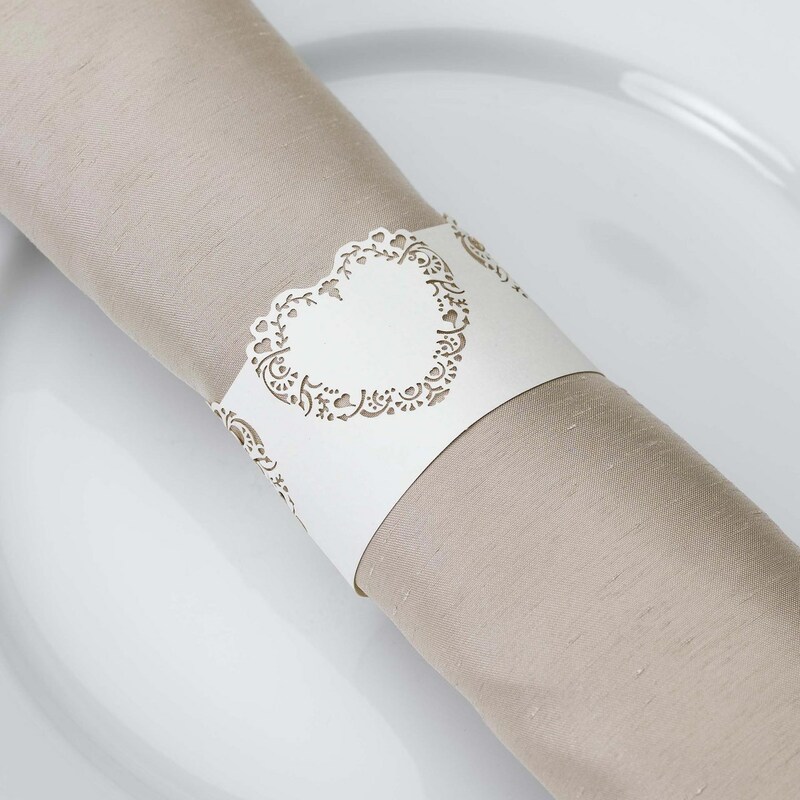 Elegant paper napkin rings, a lovely addition to your table settings. These chic rings feature laser-cut hearts with a surrounding band of high-quality, ivory card and are a practical way to dress your wedding tables. Part of the Vintage Romance range, these napkin rings make a chic addition to a classic ivory and gold colour scheme.